FGN built Nigeria’s only true deep water port that can take RORO vessels in Lagos, then Nigerians will come to Lagos…. FGN built Nigeria’s only PMS offload point at Atlas Cove in Lagos then Nigerians will come to Lagos…. FGN built Nigeria’s largest international Airport with cargo terminal in Lagos then Nigerians will come to Lagos…. FGN built Nigeria’s Largest train terminal with most extensive city connection of roads, bridges and rail in Lagos then Nigerians will come to Lagos…. FGN built Nigeria’s only true purpose built Trade Fair Complex in Lagos then Nigerians will come to Lagos…. FGN built Nigeria’s largest public housing scheme to accommodate the Army, Police, Navy etc. in Lagos.. then Nigerians will come to Lagos…. Lagos State or I clarify Bola Ahmed Tinubu school of thought has confused a political “problem” with an economic opportunity. Lagos State is Nigeria economic capital. Lagos States boasts an impressive IGR based on taxes…taxes on what? Consumption and Income. Lagos taxes buildings in Lagos..
All these taxes are because Nigerians are in Lagos to trade, earn and learn. The Nigerians living in and trading in Lagos are the reason Lagos can tax and earn in excess of $50m a month….Nigerians buying land in Lagos is why a plot os swamp land in Lekki can go for $100,000 a plot….this is an opportunity Oyo or Ondo do not have. Why do you think the US has the Visa Lottery? why does Canada give a path to citizenship and abode? Love? No because population, a young population pays the “rent”. 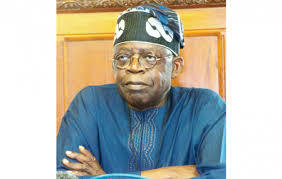 The Nigerian moving to Canada are paying the Pensions and salaries of Canadians..Canada understand it is fortunate to be able to attract people to come a live, work and pay taxes in Canada…Canada and US understand the opportunity they posses, ….Bola Tinubu does not. You cannot sell build Eko Atlantic then ask “settlers” to stay away….how will you raise taxes to clean the streets of Eko Atlantic? Lagos has unsuccessfully sought a special status because of the legacy of projects left by the Federal Government when she moved to Abuja, Lagos needs a special derivation to mnage those assets, but with this exclusion of certain lagosians, how will the argument be made effectively? Lagos and Kano are in a battle of the census. Lagos says more Nigerians live in Lagos State than Kano..its a big deal, more population means more House of Representatives and Money from FAAC. Lagos asks ALL LAGOSIANS not to travel “home” during census…but to stay in Lagos and be counted. I agree with Lagos State, if you live in Lagos, stay in Lagos and get counted….but why does Lagos want ALL lagosians to be counted in a Federal Census but does not want ALL Lagosians to vote in a Federal election for President? Every Governor of Lagos State is a “President”…how many Governors in Nigeria can claim to have ruled over all tribes in Nigeria as Governor? If Bola Tinubu becomes President tomorrow, and he presents a candidate to the UN as Secretary General and Ghana votes for another candidate, will Tinubu expel Ghanaians from Nigeria because they did not block vote with him? is that his philosophy? When Bola Tinubu as a Governor fought the Federal Government, LAGOSIANS fought with him.. I am amazed Bola Tinubu wants to have as his legacy this ethnic coloration of politics in Lagos….the so called most sophisticated city in Nigeria. On a last note let me address the Nigerians living in Lagos…You are citizens of Nigeria, period. Nigeria fought a war to keep Nigeria one, and so it shall be.